AMC officially announced The Walking Dead’s presence at the San Diego Comic-Con. The panel will take place on Friday, July 19, 2013. The specific time, location and guests will be announced at a later date. [Source: examiner.com] The San Diego Comic-Con runs from Thursday, July 18 through Sunday, July 21, 2013. Be sure to keep an eye on the Comic-Con schedule for announcements. The title of the Season 4 premiere has also been released. According to TVLine, the episode is currently titled “30 Days Without an Accident” and, judging by the title, will push the plot forward in time by a month. More announcements on the upcoming season of The Walking Dead are sure to come. 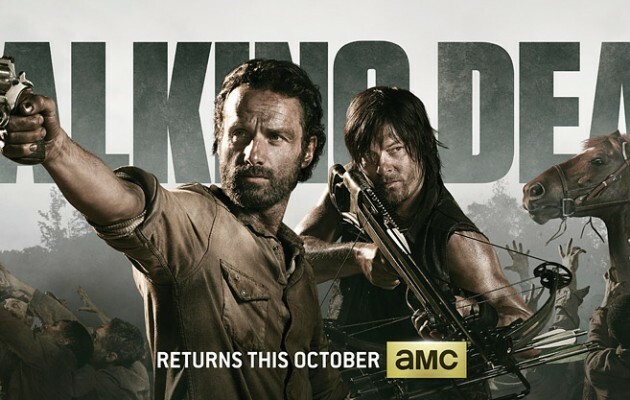 The below Season 4 banner, courtesy of ew.com, should only have to hold you over for a short while.